My newest piece, a collaboration with colleagues Oscar Sosa and June Gin, about activism where it isn't imagined to be - far off suburbs like my beloved Antioch. Abstract. Both the suburbanization of poverty and the growth of suburban social movements have been the focus of much academic discussion of late, even if these two discussions are not necessarily linked. 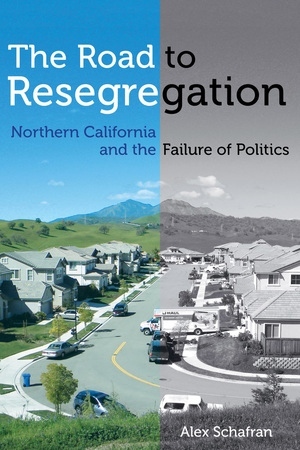 One area that has been relatively underresearched when it comes to both phenomena are exurban regions, critical spaces of change and crisis, in particular in upmarket regions like those in Northern and Southern California. This paper presents a case study of the ‘social movement space’ of eastern Contra Costa County, on the edge of the San Francisco Bay Area. It argues that not only did propoor, social-justice-oriented movements arise over the past decade in response to changing geography, they exhibited a form of ‘scalar promiscuity’ which differs from the regionalization of social movements or other forms of ‘scale jumping’ well known in the literature.